Krishan Bedi came to the United States in December of 1961 at the tender age of twenty. He had only $300 in his pocket, and he had made it out of his small village in India on sheer faith, determined to get education in the US. For him, there was no option but to succeed--so he began his new life in Knoxville, Tennessee, where he had to adapt to the culture shock not only of being in the US but a Punjabi man in the South in the 1960s. 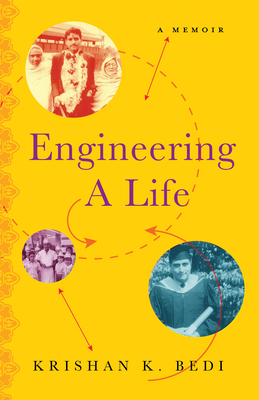 Engineering a Life is an examination of Bedi's life, and how he has handled the plethora of curve balls thrown his way with determination, humor, and an unwavering faith that everything would work out. This is a book about values and faith and the importance of friendship, family, and hard work. It's a story about achieving the American Dream, proving that no matter how thoroughly you map out your life's journey, no matter how many blueprints you draw up, when you veer off the course you've plotted--as we all do, somehow, in the end--you end up where you're supposed to be.